E-commerce and M-commerce: Is it time you were selling online? Is it time you were selling online? 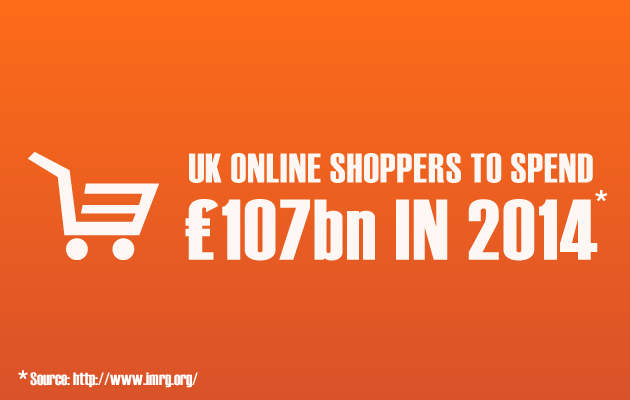 The fact that UK shoppers alone are due to spend £107bn shopping online in 2014 is a pretty good reason to be thinking about selling online if you have a product or service suited to e-commerce. We are currently working with a number of clients providing them with e-commerce website design and build. Our preferred solution is using WooCommerce. The main reasons being that it is powerful, intuitive to use, and integrates with WordPress to sit alongside the rest of your site content management. It’s not just about focusing on a desktop selling experience – M-commerce (as it has become known) is growing year on year. People making purchases via their mobile or tablet devices grew by 138% in 2013. In fact mobiles and tablets made up 27% of all online sales for last year. These figures come from studies by IMRG, and have found there are patterns to people’s ‘M-shopping’. People tend to browse on their mobiles during the morning while commuting to work and then ‘sofa surf’ on their tablets during the evening. This increase isn’t purely to do with demand – there are a number of contributing factors, including more advanced and secure mobile device technology, a greater number of deliver and collection options by the retailers themselves and also improvements in mobile and tablet friendly e-commerce websites. How could we help with a responsive e-commerce website? What e-commerce platform should you use? If you are looking to re-design your existing e-commerce website or create a new one then we can sit down with you and look at what the best solution would be. Although WooCommerce would be our preference, there are others e-commerce engines available. Bespoke design or theme based? There are some fantastic themes available for WooCommerce which can save on both time and client investment. You can choose a theme that best suits your requirements (looking at the design, built-in features, responsiveness, etc) then we can take that as a frame-work and then customise the design to reflect your brand and business. It may be that you require a bespoke design and build for your online shop, which means we will follow our design process and produce something more tailored to your specific requirements. Whether theme-based or bespoke, you should cater for mobiles and tablets. You also need to consider how you are going to take payment via the site; which payment gateways are best for you. There are various options available, with varying packages. Reason Digital have produced a useful comparison in this article. Typically we have worked with PayPal, WordPay, SagePay and Google Checkout. Why not give us a call to discuss how you establish your online shop? We’re always happy to sit down with you and look at what e-commerce website options would best suit your business.